Many games have witnessed the Battle Royale space since PlayerUnknown’s Battlegrounds, then comes in Fortnite in the year 2017 but Apex Legends still stands to be the first to shake the space. Though, it has not been long since it made its way and has already won the hearts of 50 million players. Observing this, it shouldn’t be surprising that the Epic Games did notice that when the developers launched the eight season of Fortnite, the players were seen to be surprised to see some of the Apex’s most praised systems turning to be in the primary competition. Though the Fortnite did not have a feature of nonverbal communication, it had some mysterious feature of blue vans that pointed to a new respawn feature (something that will be updated in the coming versions). Was the fact of copying new features correct from Fortnite? Fortnite copying some features was not a strange thing because respawn feature is quite a good idea. This is a feature that almost every matchmade multiplayer game should possess. This blatant copying is a feature that still remains on the observation mode for its fan. Apex legends only entered this gaming world a month ago, and Epic is already bringing features in Fortnite. There are a lot many features that users wait to get added to Fortnite very soon. We are not just dealing with Fortnite but also Apex Legends or more specifically about the Battle Royale. This game was created following the footsteps of PlayerUnknown’s Battlegrounds. Everyone lately wanted to copy PUBG, but it was Fortnite that did it with lightning speed, beating all the other competitors. There are a lot many factors that contributed to Fortnite’s success, but the major factor was its Epic Games’ development speed. The Unreal Engine is made by the Epic games. This is the technology behind Fortnite and also behind many others. It is an essential tool that the developers use to develop games making everything more efficient than it could be done theoretically. The development is done from scratch making Unreal the most popular name for years because the developers at Epic Games are handy and quite excellent at using Unreal Engine. Fortnite is considered to be a living version of Unreal Engine which was designed keeping in mind the development speed and the adaptability of the game. This is how the developers manage to give a brand new content to the game each time. Though, the Epic gave it the complete credit of its workforce for the help. But still, it is believed that if the Epic games manage to copy the Apex Legends in the same amount of time with the similar kind of efficiency then definitely we would consider that Apex Legends was one that was meant to be this way one fine day. There might be a little awkwardness about the introduction of the ping system that is showing up in Fortnite, but it still is very attractive and easy to use. 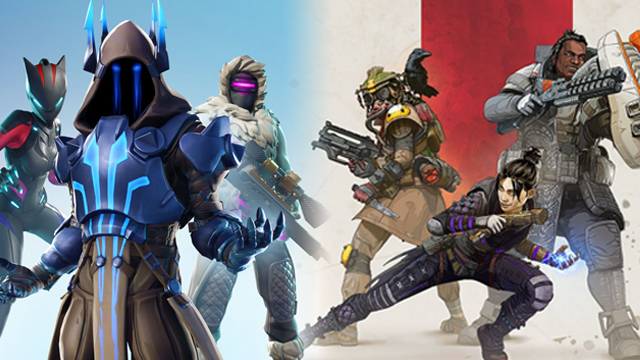 Although Epic was not shy about the fact that they copied the basic setup of its game from PlayerUnknown’s Battlegrounds, it doesn’t look shy about copying it from Apex Legends either. All that matters, in the end, is its performance and stability between its competitors. They know it because it has worked well before. The popularity of the game is the major factor that leaves other factors unnoticed for the time being.